For any enquiries, please call or email us. Alternatively you can fill in the following contact form. 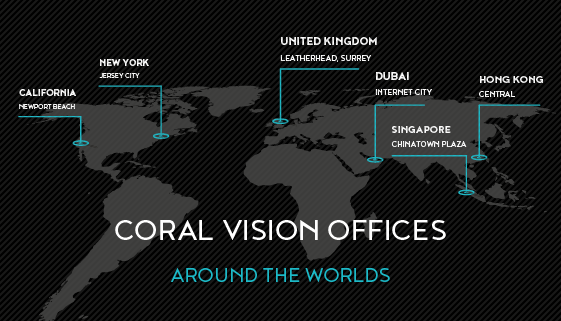 The Coral Vision network is a global one. Wherever your organisation reaches out to, we will be there with you. Our technological prowess reaches around the world and back again. With our partners, we have melded a worldwide infrastructure that means that your project need not be limited by borders. Our associates are firmly ensconced in their territories and are respected members of their local tech communities, as well as maintaining strong contacts with the Coral Vision team in the UK throughout your project. The Coral team is dedicated to provide exceptional service to our clients. We believe in utilising the latest tech solutions in a way that best serves your business, today and into the future. The Coral team are committed to delivering on three core values; integrity, excellence and reliability, whilst nurturing long term client relationships. Have Samsung missed a trick?